Class-1: punishable by life in prison or the death penalty. Class-2: punishable by 4 to 48 years in prison. Class-3: punishable by 2 to 24 years in prison (or 32 years for extraordinary risk crimes). Class-4: punishable by 1 to 12 years in prison (or 16 years for extraordinary risk crimes). Class-5: punishable by 1 to 3 years in prison (or 4 years for extraordinary risk crimes). Class-6: punishable by 12 to 18 months in prison (or 2 years for extraordinary risk crimes). If a “dangerous weapon” was used in the alleged felony, an additional 5 years can be added to the sentence. Nonetheless, other factors and considerations may work to lengthen or shorten any felony sentence. The law calls these “mitigating” or “aggravating” circumstances. While some felonies require mandatory prison sentences, others may result in probation or intensive supervision probation (ISP). 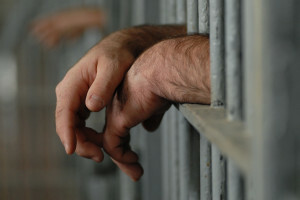 A felony conviction will have a severe, negative impact on your life, your freedom, and your future. That is a certainty. Thus, if you are charged with one or more felonies, you really must contact an experienced Denver criminal defense lawyer as soon as possible. It’s important that you understand the court system so you know what to expect after you are arrested by the police. First, you should know criminal defense attorneys recommend exercising your right to stay silent after you are arrested. Don’t try to defend yourself by talking to cops–help yourself by calling an attorney and staying quiet. When you are first charged with a felony after an arrest, you must appear in court to receive a copy of the criminal charges against you. At this point, bond will be set, so it’s important to have an experienced Denver criminal defense attorney with you to fight for your rights and for a lower bond. The next step is a preliminary hearing, which is when the judge will hear the District Attorney must prove that a crime has been committed and there is sufficient reason to believe that you were the one who committed it. At the preliminary hearing, it is essential that you have an attorney with you to cross examine the prosecution’s witnesses and uncover any inconsistencies with their stories. The events of a preliminary hearing will affect you throughout the rest of the process, so hiring an attorney is crucial for this step. However, some charges are not serious enough to warrant a preliminary hearing, and in these cases, you will be asked to attend a disposition hearing instead. Do not speak directly to the prosecutor without first having a Denver felony attorney on your team. Dan Murphy, an experienced Colorado criminal defense lawyer, will ensure that you do not disclose too much information to the prosecution or incriminate yourself in any way. If the District Attorney is able to convince the judge that there is sufficient evidence against you, then the next step of the process is the arraignment. It is here that the defendant can enter a plea or waive his or her right to a jury trial. Do not attend an arraignment without a skilled Denver felony attorney on your side to advise you on the best path to take. Many cases have pretrial hearings in which the defendant’s lawyer will argue to have certain evidence thrown out of the case. For example, if the defendant’s lawyer can prove that the evidence was collected illegally or in a way that violated the defendant’s constitutional rights, the judge may agree that the evidence should be kept out of the trial. Once the pretrial hearings are over, the next step is the actual trial, which is where the case is argued in front of a jury of your peers. Each side will have a chance to argue their case, and the jury will then decide whether the defendant is innocent or guilty. If you are found guilty, you will have to attend a sentencing hearing. Denver felony lawyers will be able to work with the court in an attempt to lower your sentencing or find alternatives outside of jail or prison. The earlier that you contact Denver crime lawyer, Dan Murphy, the better the outcome may be for your case. It is crucial that you have a knowledgeable attorney on your side as soon as possible to begin investigating the details of your case, preparing a defense strategy and working with the prosecution. 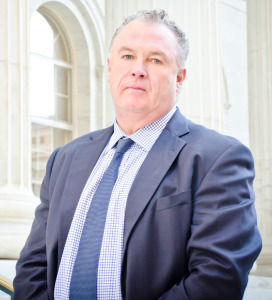 Don’t hesitate to contact Dan Murphy for legal advice regarding your felony charge. Daniel M. Murphy will provide you with a strong and aggressive defense. After years of defending people in Denver County, Dan Murphy knows no two felony cases are alike. But Denver felony attorney Dan Murphy always fights for the best outcome possible for each client’s case. Dan leaves nothing to chance. When working for you, he will thoroughly explain your situation, your legal rights, and the possible outcomes of your case. He will work with you to decide the best defense strategy and best course of action depending on the circumstances of your case. Dan Murphy will also work with the prosecution where possible to have your charges reduced or dismissed or to try to negotiate an acceptable plea deal. Denver felony attorney Dan Murphy provides seasoned, skilled legal representation and personal service to every client. Every felony case is different, so if you face a felony charge, consult with an experienced Denver felony attorney as quickly as possible. Dan Murphy provides a friendly office environment for clients to discuss their legal needs. Please schedule a free consultation with, Denver felony attorney, Dan Murphy at his downtown Denver office by filling out the form on this website or by calling the office at 303-996-8998. Dan’s law office is conveniently located on East 7th Avenue, just two blocks east of Broadway. Free parking is available, and payment plans are always available for legal services.